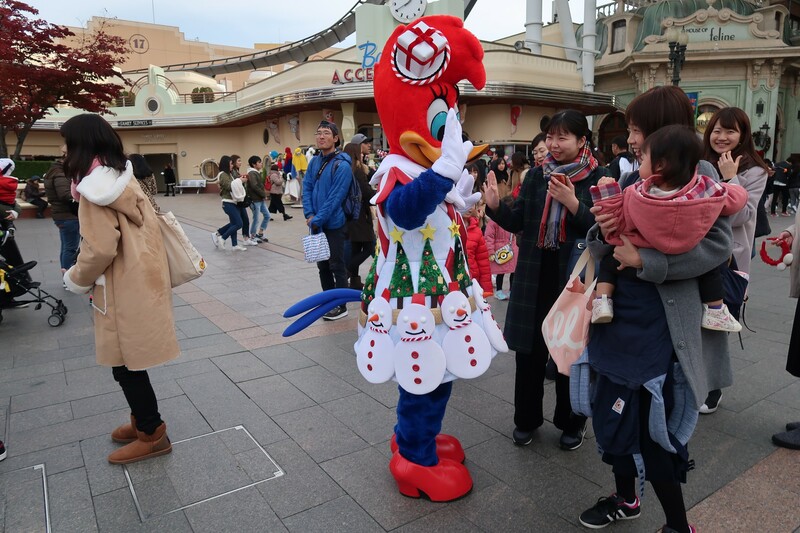 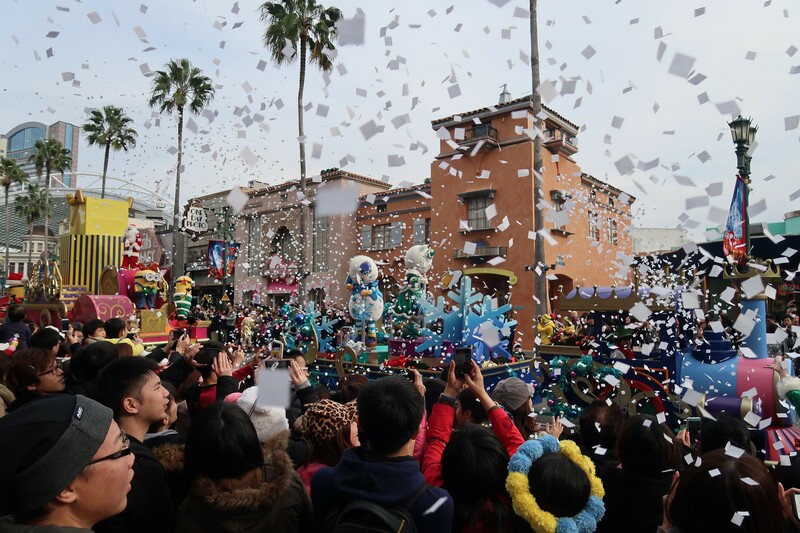 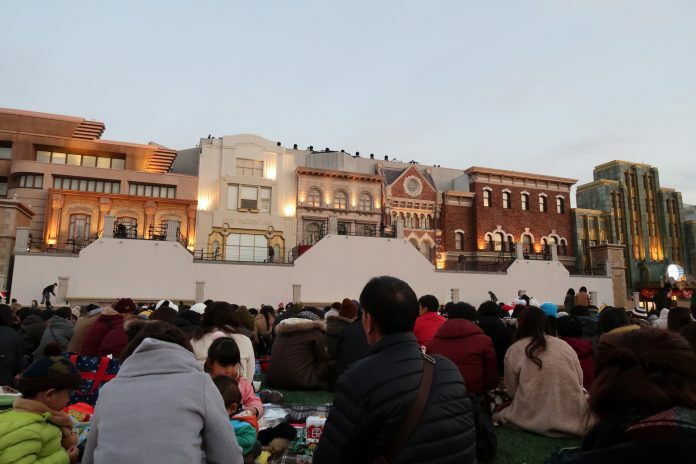 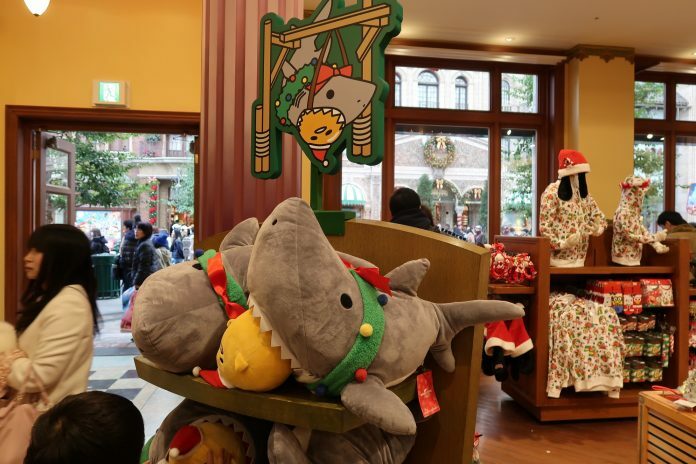 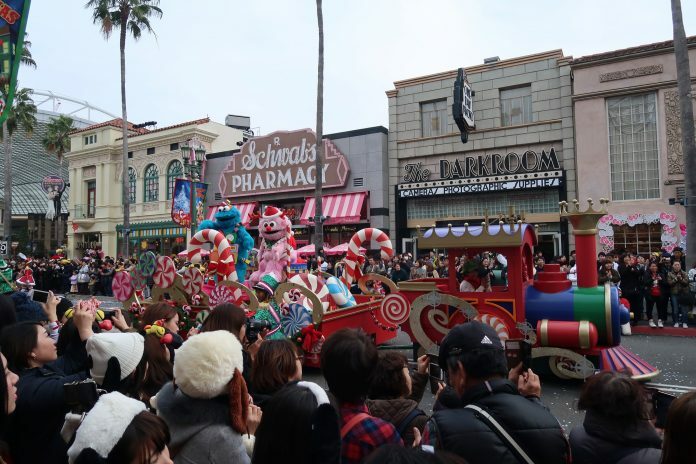 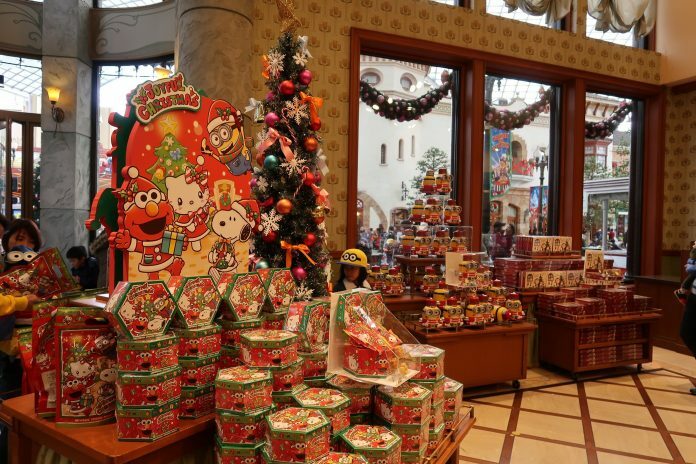 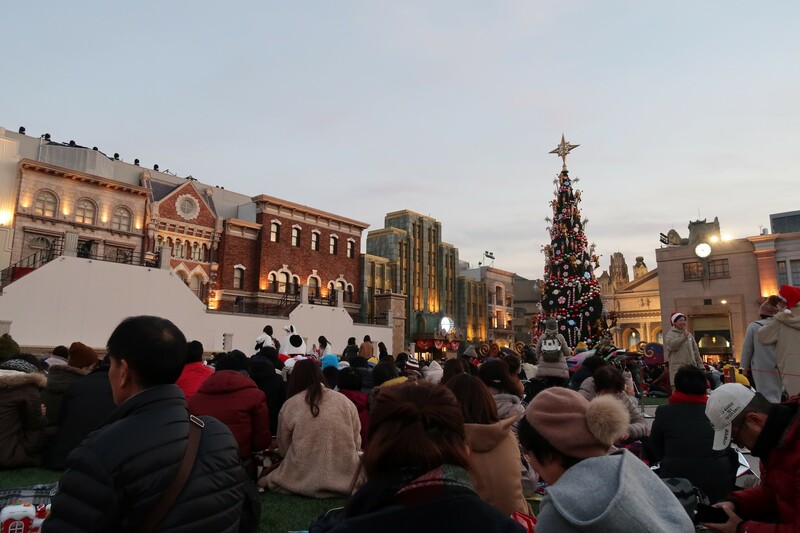 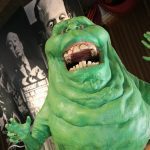 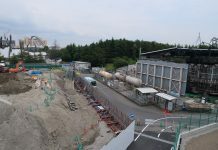 Here’s a photo update featuring the Universal Wonder Christmas offerings and other happenings around Universal Studios Japan. 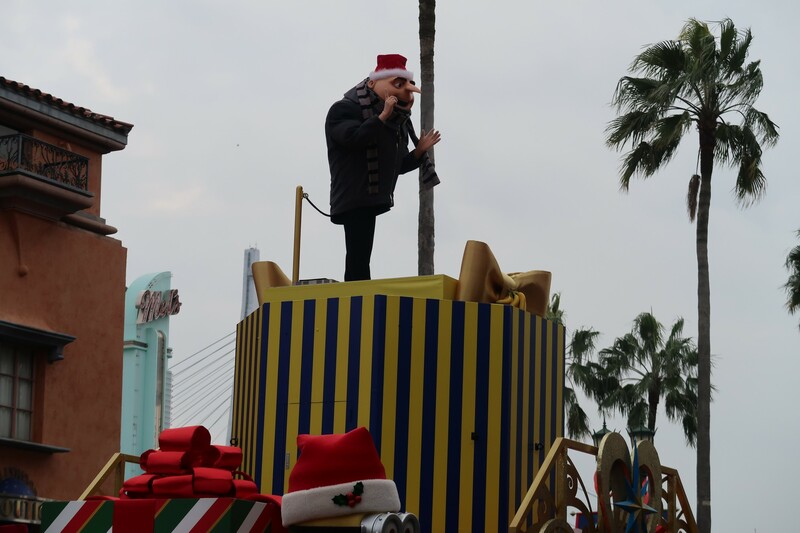 In this update, we’ll be taking a look at Holiday decorations around the park and Wizarding World, the Minion Mayhem Christmas Party, and the Gift of Angels nighttime show. 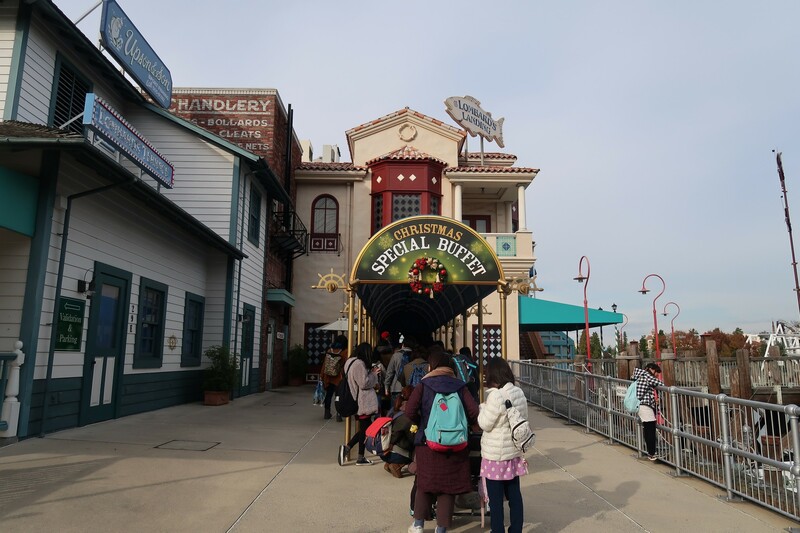 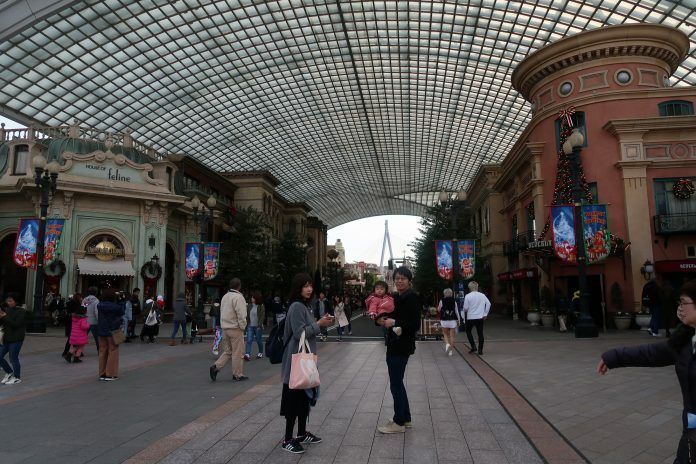 Let’s take a look around Universal Studios Japan, shall we? 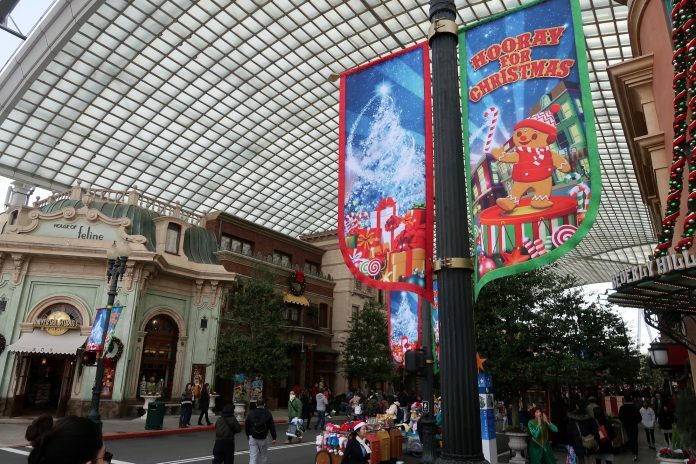 Down Hollywood, there are many decorations for Christmas. 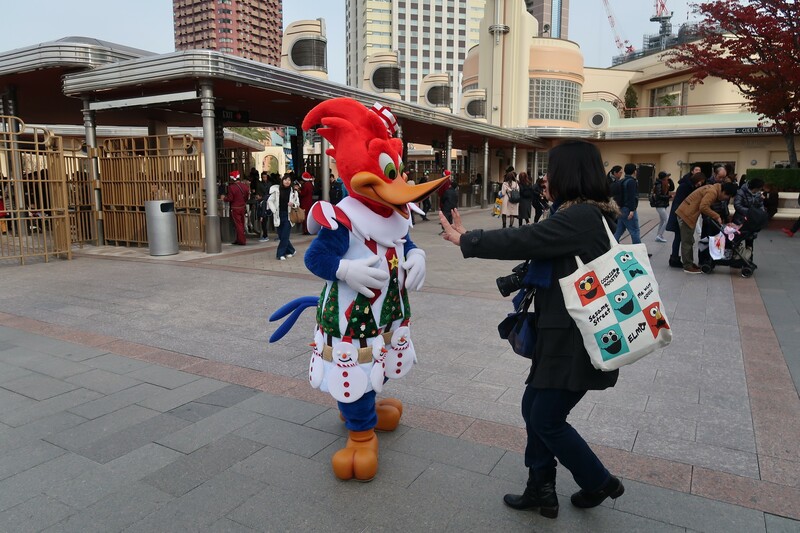 Woody and Winnie are in Holidays costume and greeting at the entrance. 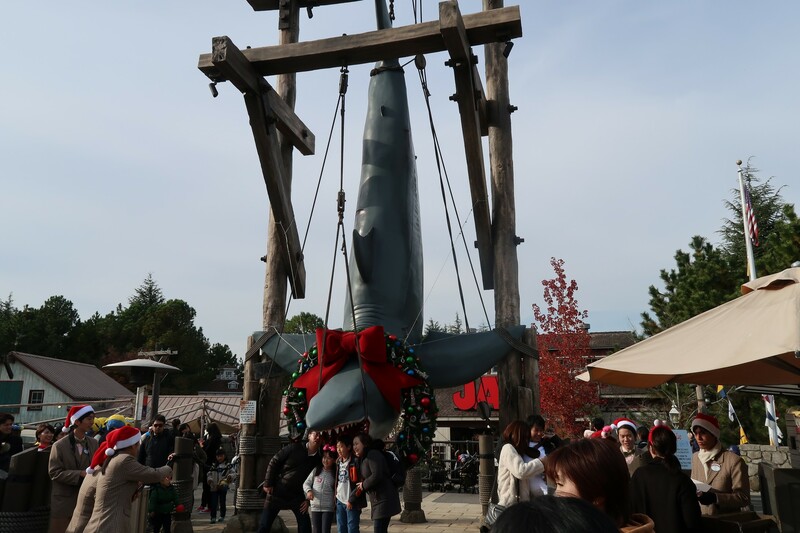 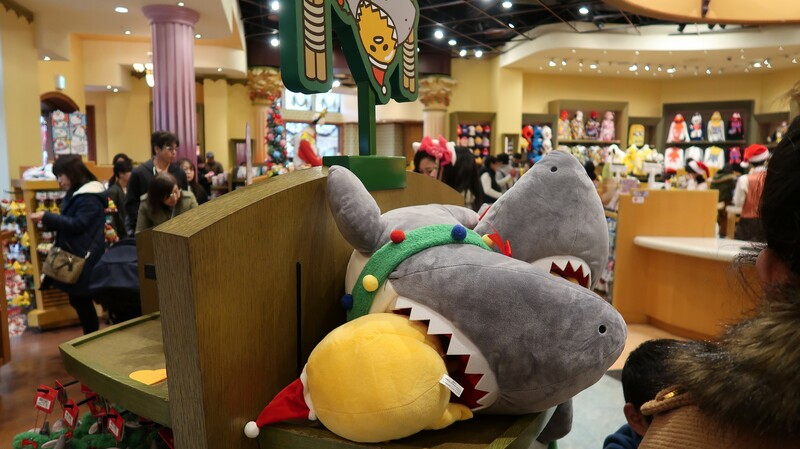 Elsewhere around the park, Bruce the Shark is getting in Christmas spirit. 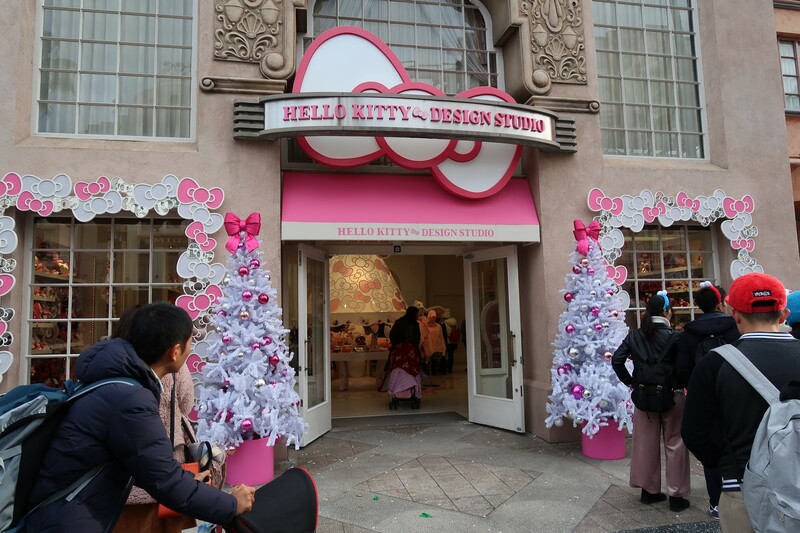 At the Hello Kitty store, they have put up white Christmas Trees. 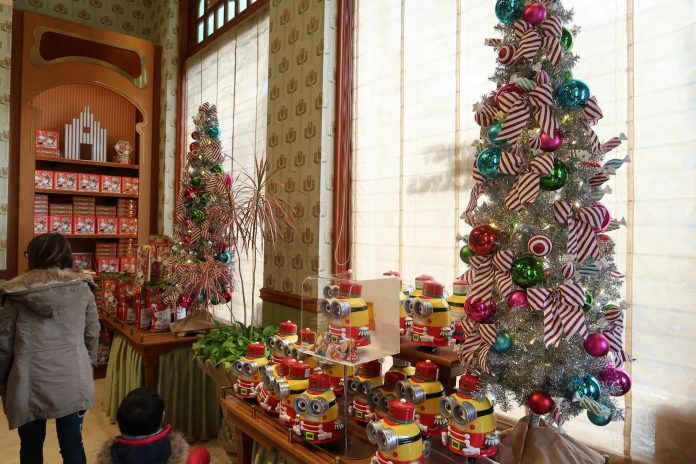 Lombard’s Landing is serving up a Special Christmas Buffet which offers 1 main dish, 15 different desserts, and all-you-can-eat roast beef. 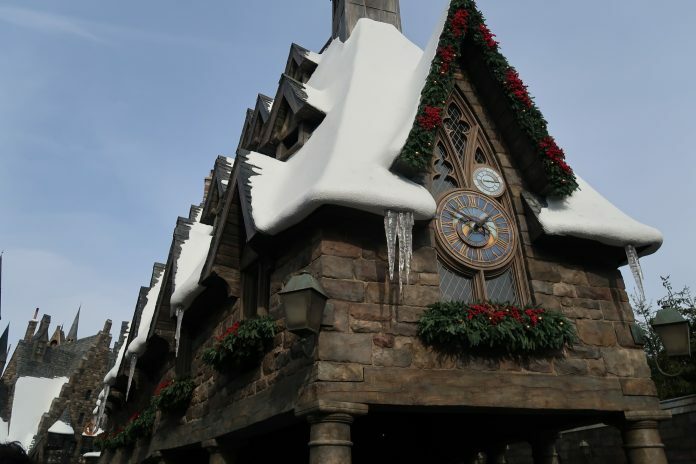 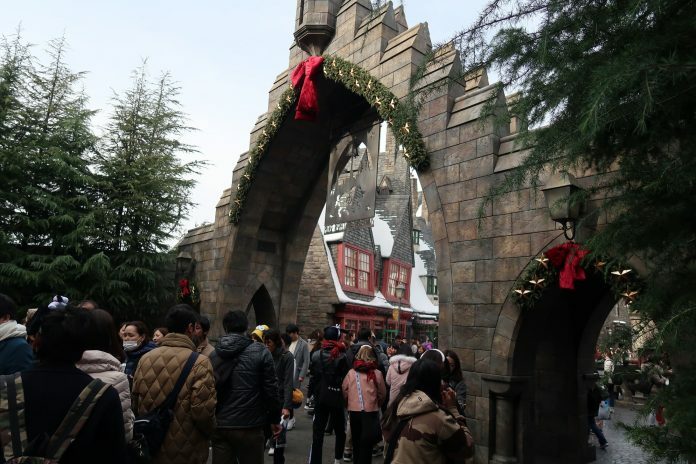 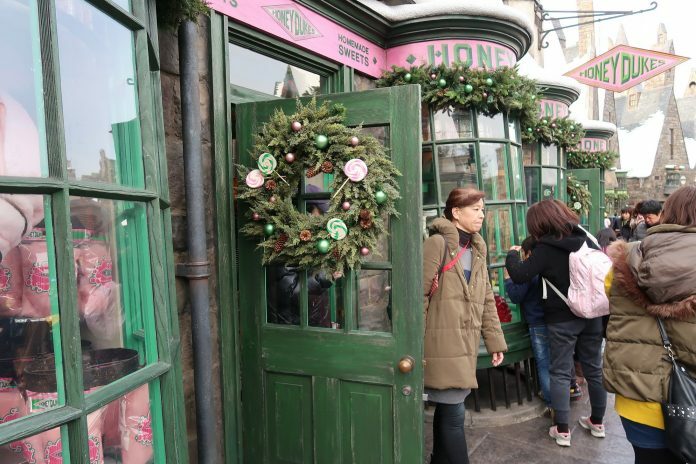 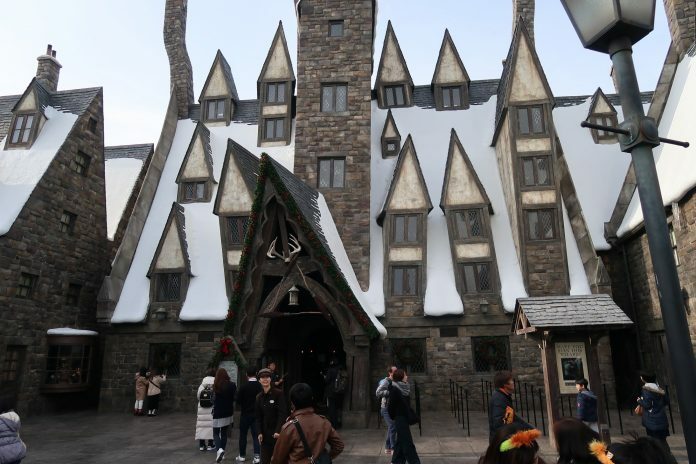 The Christmas decorations around Wizarding World in Japan are a little different than those featured in the U.S. Parks. 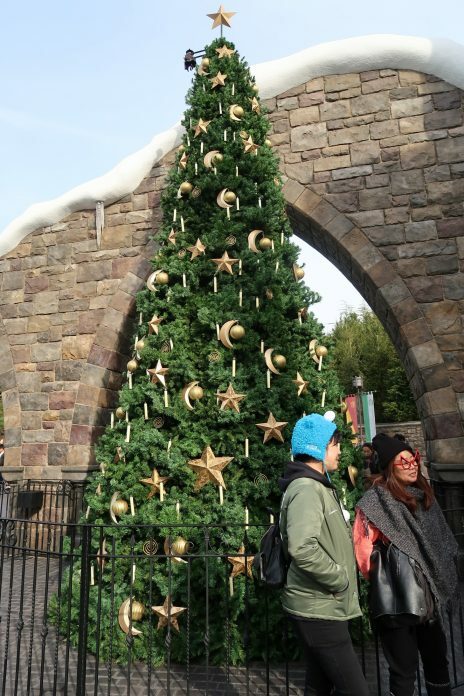 The Christmas Tree is very similar like the look from the tree used last year, but has a sensor for the interactive wands. 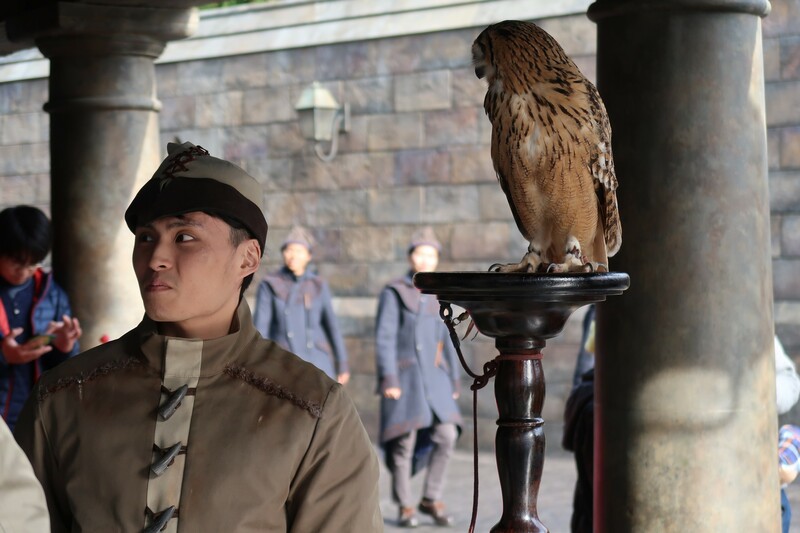 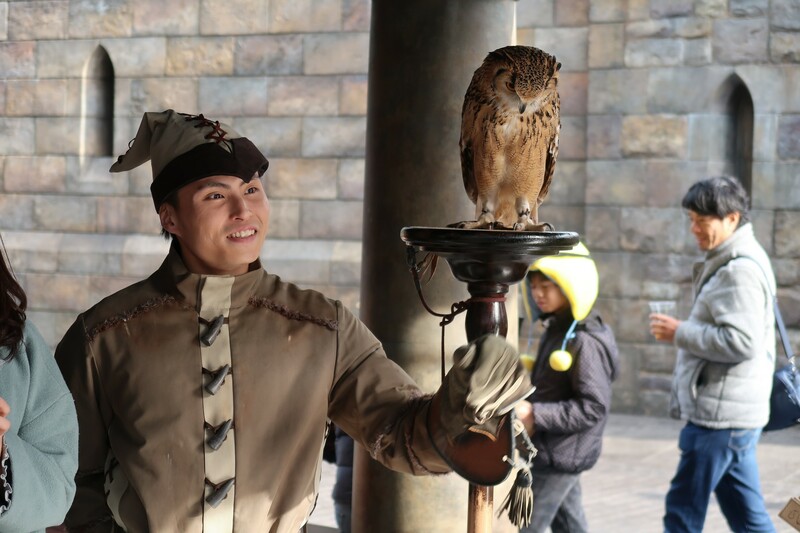 You can also meet a real owl! 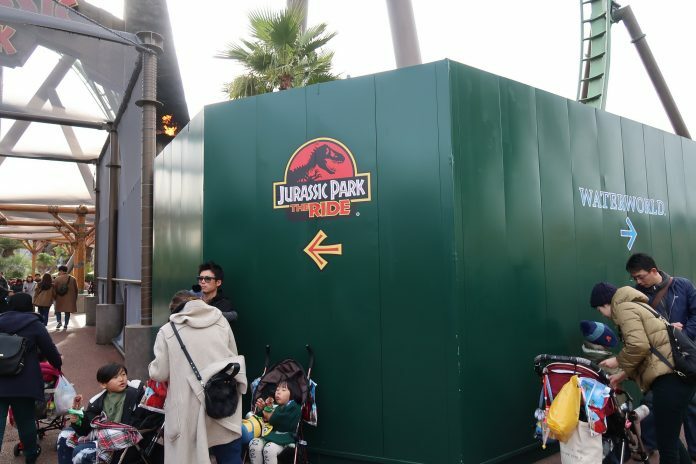 Construction walls have been set up at the entrance of Jurassic Park. 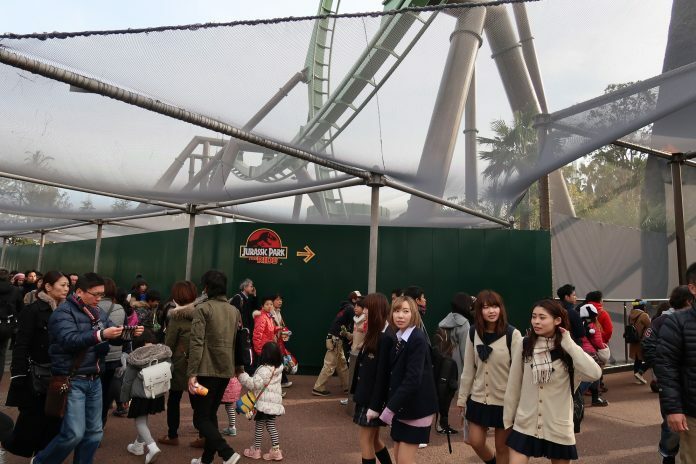 We have no idea what’s going on but maybe they are just redoing the trees? 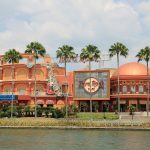 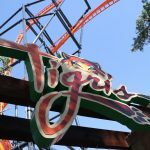 A regularly scheduled refurbishment is set to take place Feb. 13th, 2018 – Feb. 23rd, 2018. 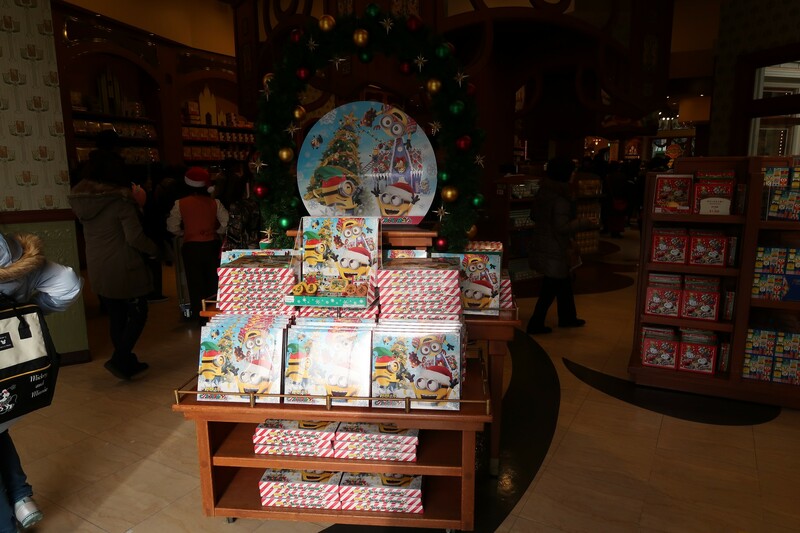 Here’s a quick look at the merchandise available this year. 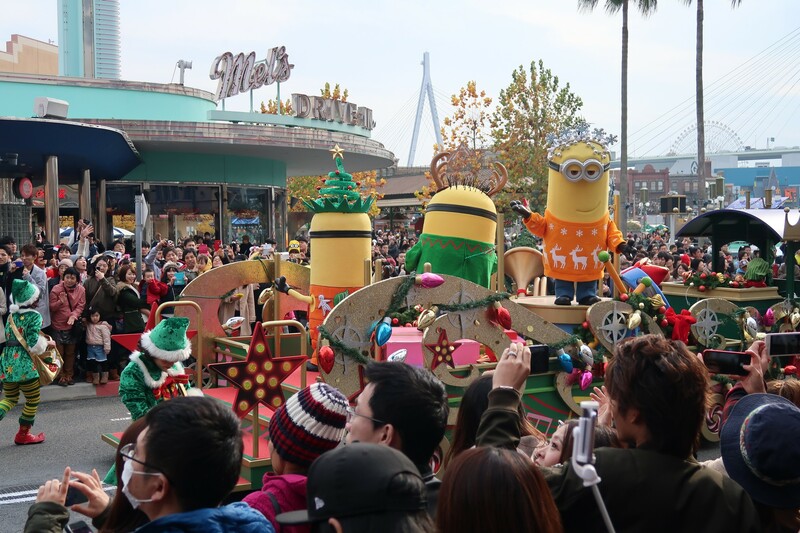 Here’s a look at the Minion Mayhem Christmas Party, which is essentially a parade. 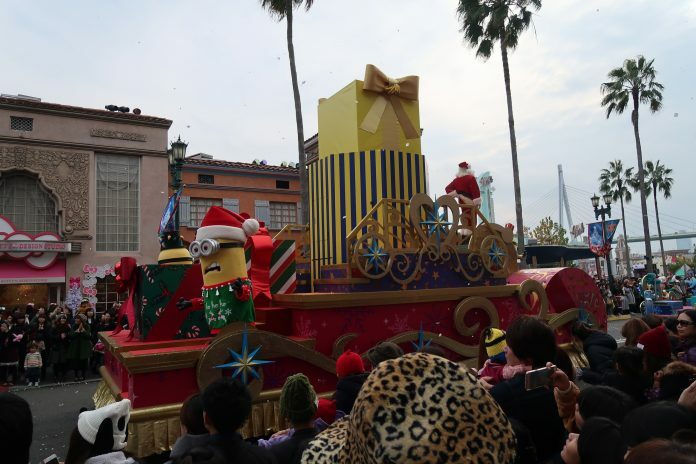 They have 5 floats, including Hello Kitty, Sesame Street, Snoopy, and, of course, Minions. 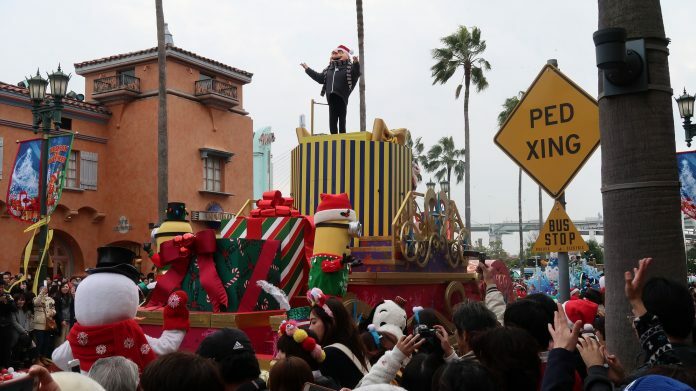 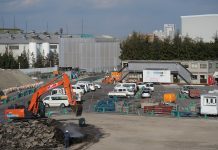 In addition, this is the first time Gru has been used in the Japan park. 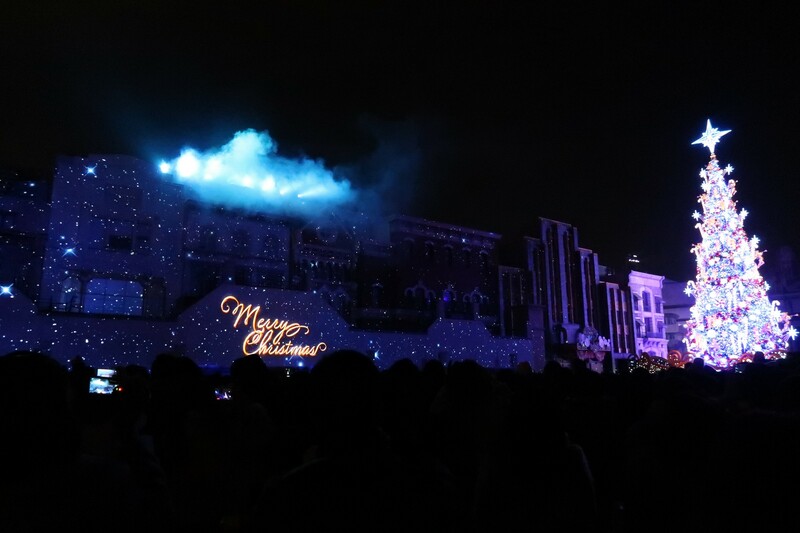 Here’s the view from Voice of an Angel special seating area. 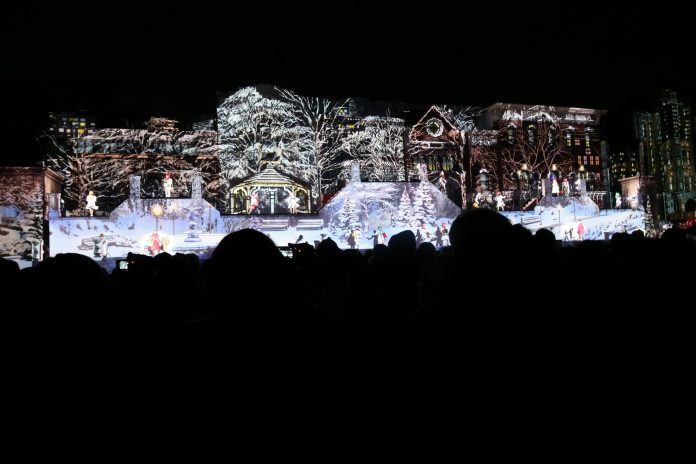 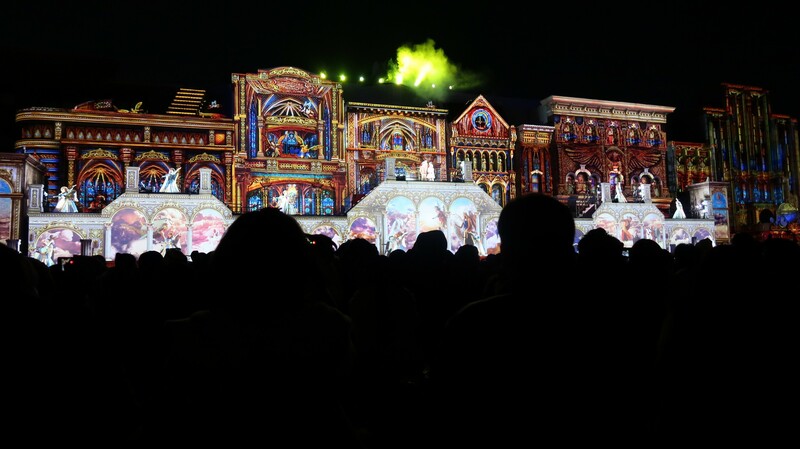 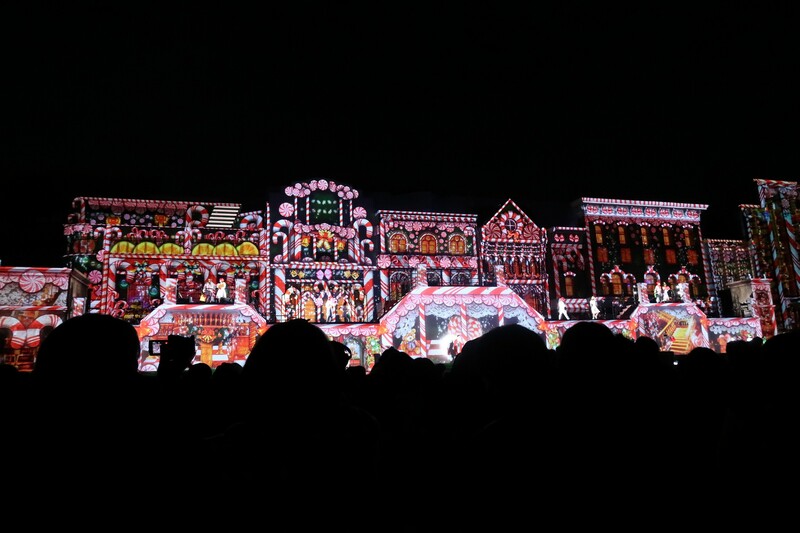 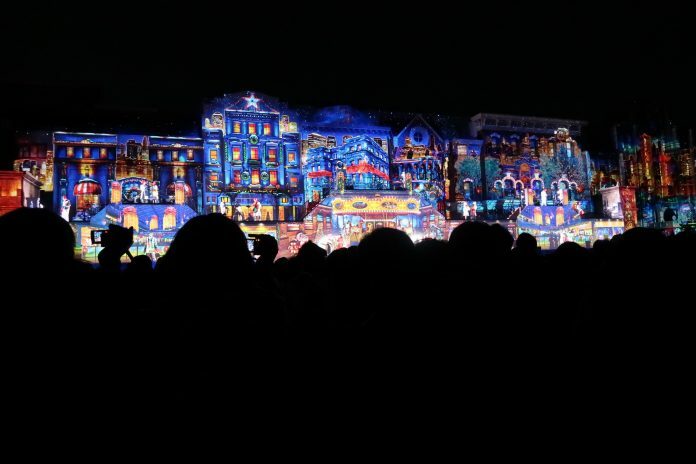 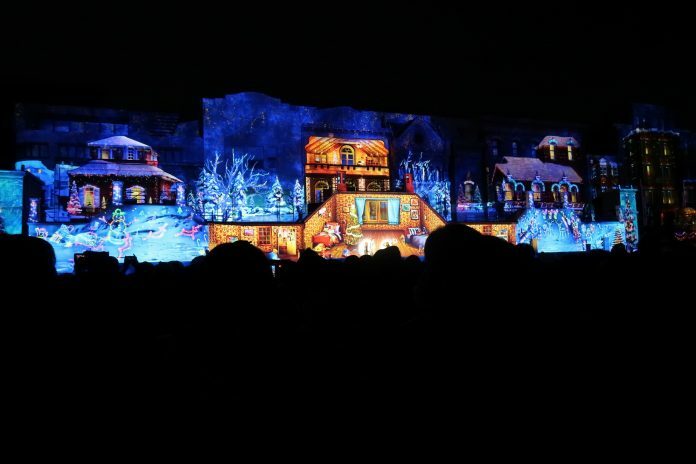 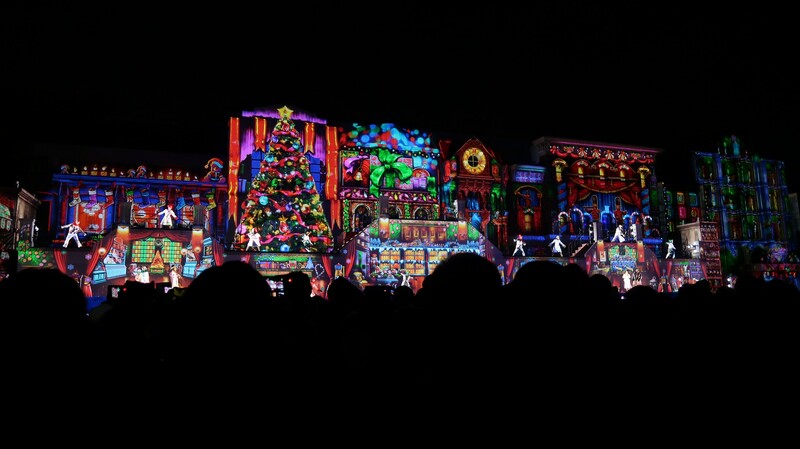 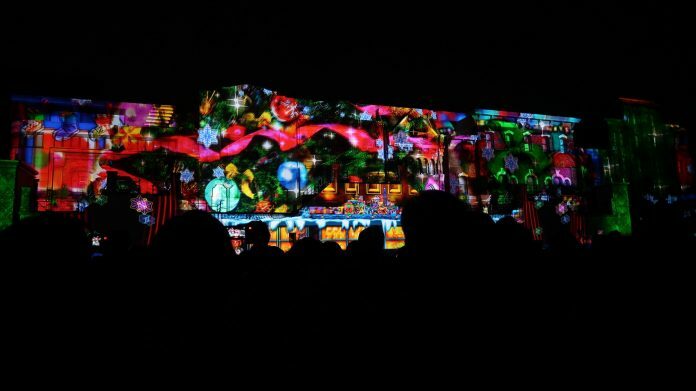 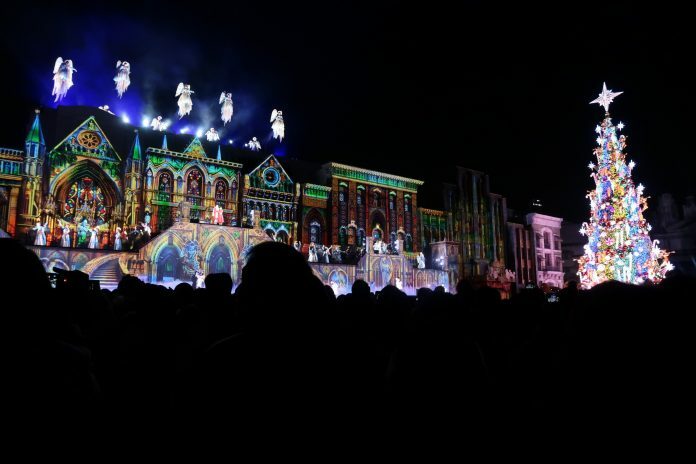 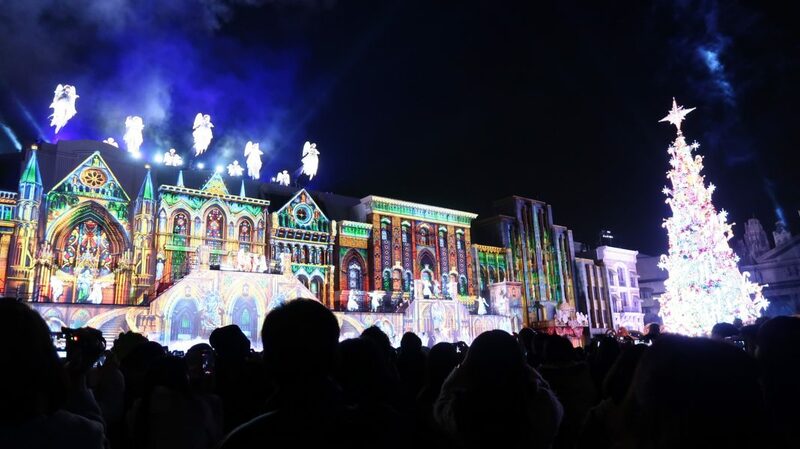 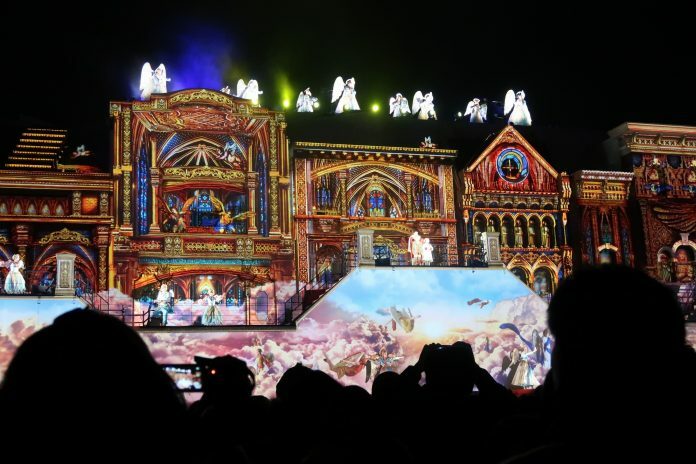 The show features a diverse range of lights and colors, combined with angelic singing and dancing, to celebrate the Holidays. To view the show, an additional ticket must be purchased, which includes two options – standard view and premium. 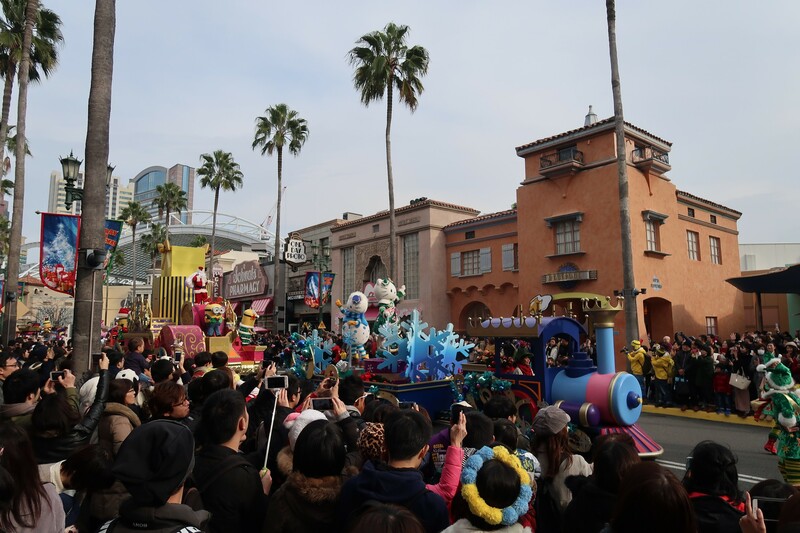 On weekdays, 1 show a day occurs, and on weekends, 2 shows a day are performed. 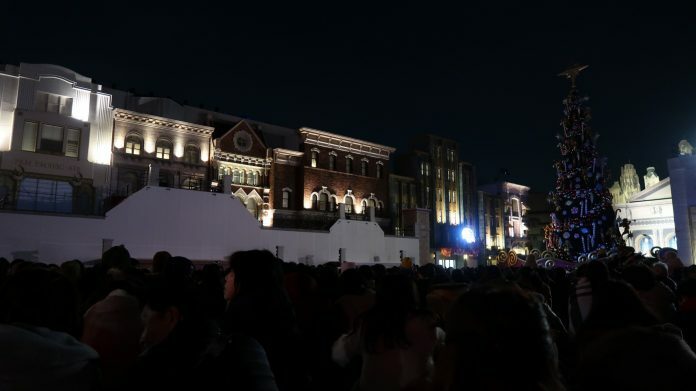 The show uses projection technology on the set facade of Terminator 2:3D. 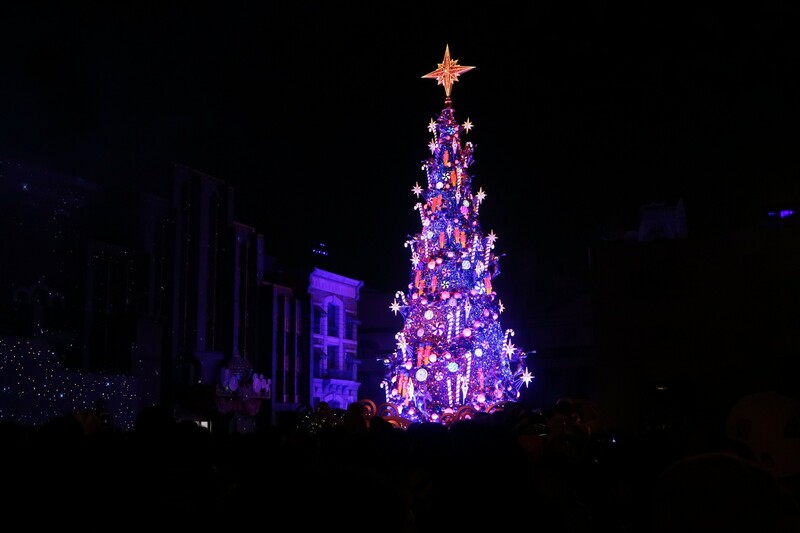 The end of the show culminates with the lighting of the Christmas tree. 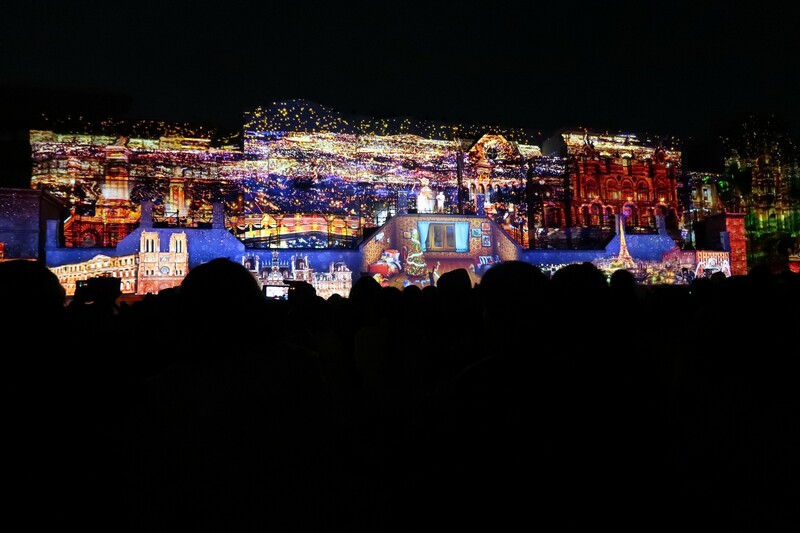 That’ll do it for this update! 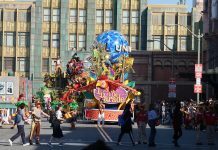 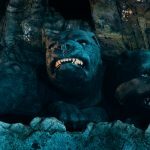 Be sure to follow Inside Universal for continuing coverage of Universal Parks and Resorts!